Watch out, TV fans — the Watchmen are coming. HBO has officially green-lit the Watchmen series from creator Damon Lindelof, Variety confirms. 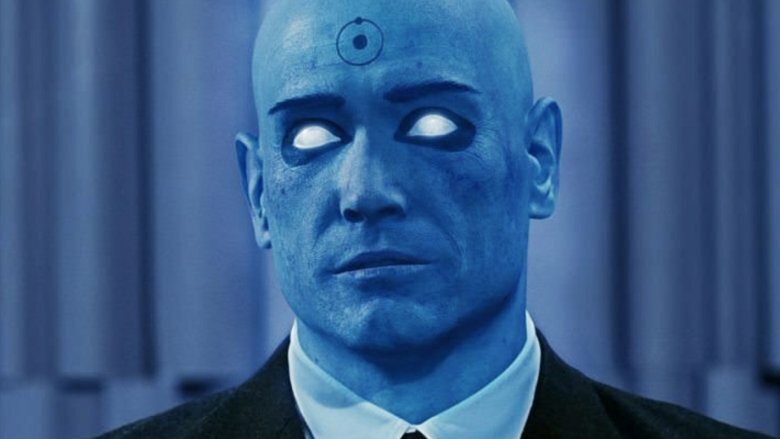 News that the network ordering the project to series isn't entirely shocking, as HBO handed Watchmen a pilot order back in September of 2017. Nonetheless, for anyone waiting to witness Watchmen on the small screen, this break is worth getting hyped up about. Described by Lindelof as a "remixed" version of Alan Moore, Dave Gibbons, and John Higgins' acclaimed graphic novel of the same name, Watchmen will embrace the source material "while attempting to break new ground of its own," according to HBO's official description. This rings true to what Lindelof previously said of the series in a lengthy note posted to his Instagram page. "We have no desire to 'adapt' the twelve issues Mr. Moore and Mr. Gibbons created thirty years ago," wrote Lindelof. "Those issues are sacred ground and will not be retread nor recreated nor reproduced nor rebooted. They will however be remixed." He then compared the original Watchmen comic series to the Old Testament and his show to the New Testament: "The bass lines in those familiar tracks are just too good and we'd be fools not to sample them. Those original twelve issues are our Old Testament. When the New Testament came along it did not erase what came before it. Creation. The Garden of Eden. Abraham and Isaac. The Flood. It all happened. And so it will be with Watchmen." The Watchmen show will also feature "new faces" with "new masks to cover them," and will take great risks in telling the story of superheroes living in a world that views them as criminals. We may not know which new characters the upcoming series will center on, but we do know the actors who will play them. The Watchmen cast is long and glittering: Regina King, Andrew Howard, Don Johnson, Tim Blake Nelson, Adelaide Clemons, and Louis Gosset Jr. are reportedly the central six characters, with Jeremy Irons, Yahya Abdul-Mateen II, Lily Rose Smith, Frances Fisher, Jacob Ming-Trent, Adelynn Spoon, Sara Vickers, and Dylan Schombing topping off the roster. A distinct deviation from the Watchmen comics could go one of two ways. The series might end up being a rousing success, with fans welcoming the new characters and storylines with open arms and critics applauding the bold moves Lindelof made. On the other hand, Lindelof's Watchmen could flounder, committing the same crimes many page-to-screen adaptations have in the past. With Lindelof, who has built a sparkling reputation after co-creating Lost and The Leftovers, and a star-studded cast on board, Watchmen seems poised to succeed — and exceed our expectations. Still, since HBO hasn't yet announced a release date for Watchmen, it may be a while before we can truly size up the series. Fingers crossed it's every bit as good as many are hoping it will be.